It’s increasingly difficult to find cheap Cubs tickets these days, with a finally realized champion playing in arguably the top tourist destination in baseball. But Ballpark E-Guides is here to help…so here are three tips for saving a few dollars when landing tickets to see the Cubs. Hope they help you in your quest to save some cash. A game at Wrigley Field in April against the Padres is still a game at Wrigley Field. 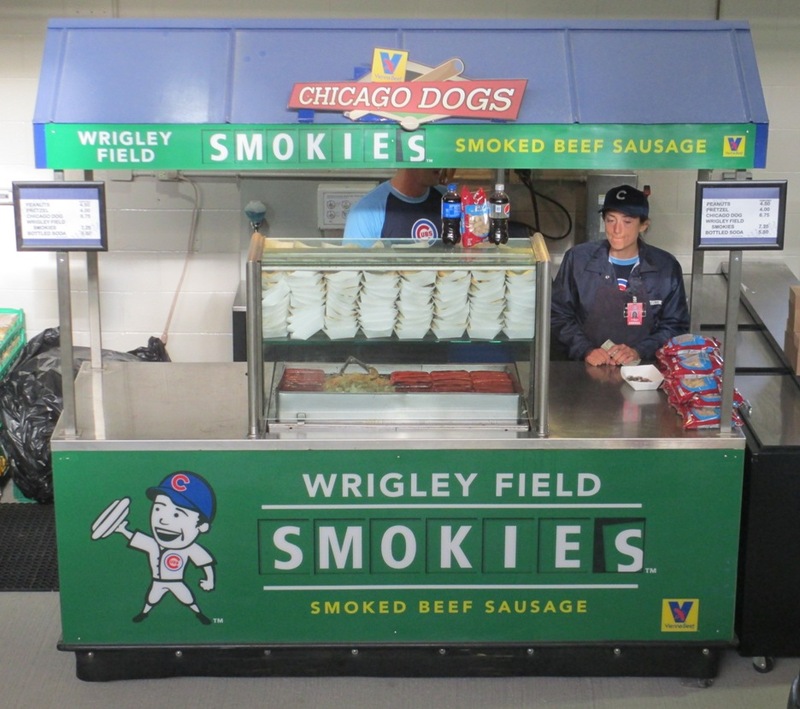 Cheap Cubs Tickets, Tip #1) Choose The Right Game. The Cubs, and more importantly, third party sellers and agencies, charge more for August weekend games at Wrigley Field than for April weeknights. Take a day off from work, bundle up and take advantage. You can find some real steals on tickets if you’re willing to brave a weeknight in April. Keep in mind the opponent, too…a game against the cross-town rival White Sox or the divisional rival Cardinals will cost more than a game against the Diamondbacks or Padres. 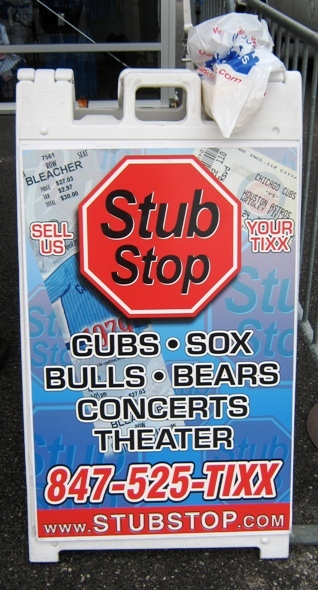 Not to be confused with lesser known Stub “Hub”. Cheap Cubs Tickets, Tip #2) Check The Agency Websites. 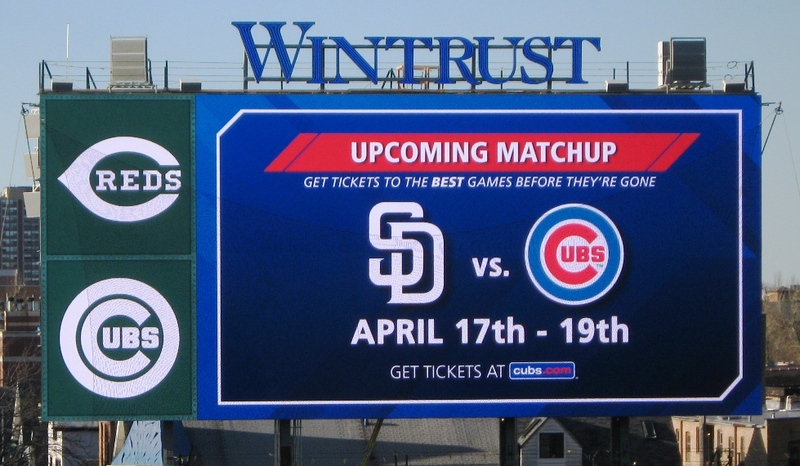 If you’re looking for Cubs tickets on StubHub or another third party site, try comparing prices for equivalent seats at sites for agencies like Gold Coast or Prime Time, or other agencies that set up shop near Wrigley. You might find a better deal and/or smaller fees, and you should be able to pick up your tickets at the agency itself. There’s quite a few of them near Wrigley. Not quite this cheap, but better than most deals. Cheap Cubs Tickets, Tip #3) Try A Flex Pack. 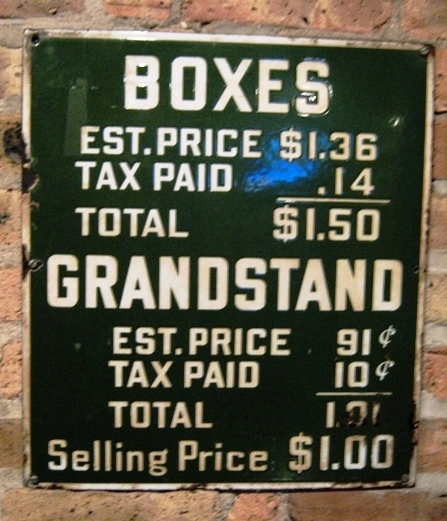 The Cubs sell multi-game packs during the holidays before individual game tickets go on sale; it’s a great way to land high-demand games at face price (which would probably be the cheapest price). Go in with a friend and split up the games, or give away your extras…Cubs tickets make great gifts. You can probably find some way to pull this off. If you sign up for Cubs ticket alerts, they’ll let you know when the Flex Packs go on sale. Sign up for Cubs ticket alerts here. Click the image to find deals on Cubs tickets. Cheap Cubs Tickets, Tip #4) Bonus Tip: Try SeatGeek! SeatGeek is my favorite third party outlet for Cubs tickets (or any other team’s tickets) and I’m not just saying that because they’re an affiliate of mine. SeatGeek searches plenty of other third party sites and lists them all, and I frequently find better deals there than on StubHub. Click here to search for Cubs tickets on SeatGeek and tell ‘em Kurt sent you.